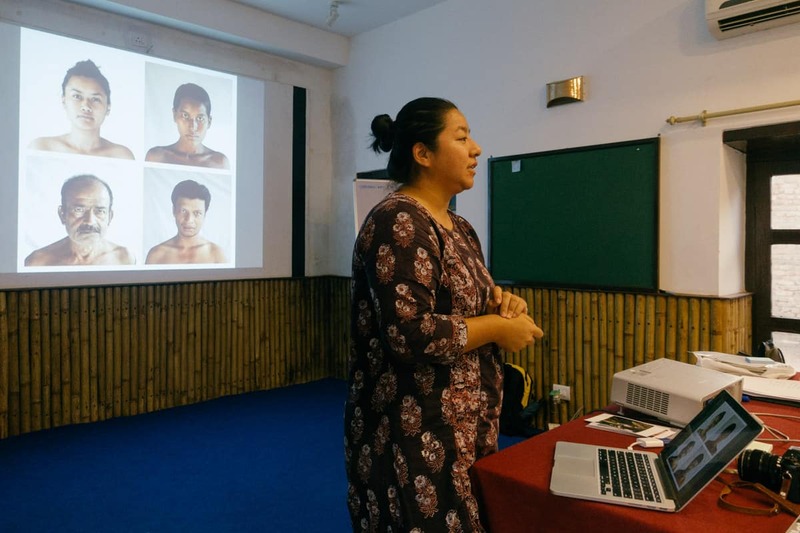 Kathmandu-based artist, curator, activist, co-founder of the Nepal Picture Library, and the photography festival Photo Kathmandu, NayanTara Gurung Kakshapati dons another busy hat as a judge in our Invisible Photographer Asia Awards 2018. Trained in social sciences and international relations, photographer NayanTara believes that before opening or closing the shutter on a story, one should constantly question themselves on a most fundamental life principle: The Why. I have been attracted to the visual medium from quite early on. I took as much art through school as the Nepali curriculum allowed me. My dad had a camera that I was allowed to use once in a while. In college I studied politics, economics, history and of course more art – a luxury afforded to me by the generously interdisciplinary American liberal arts system. I realized I learned about and engaged with the world around me best through interdisciplinary ways, but as the visual medium and photography in particular being the primary medium. Soon after college, in 2006 I experienced and participated in the People’s Movement back home (our own Kathmandu spring which eventually toppled the Nepali monarchy) through photography. It was perhaps at that point that I began to realize that for me photography was not only a tool to tell stories and document but also to get people to act. I co-founded photo.circle in 2007 in response to the need we felt for a platform to share and discuss work. We started out by organizing monthly events where photographers could present and discuss work. We moved on to organizing workshops and making exhibitions and books. Nepal Picture Library, the digital photo archive that was set up in 2011, and Photo Kathmandu, our very own photo festival, was set up in 2015. 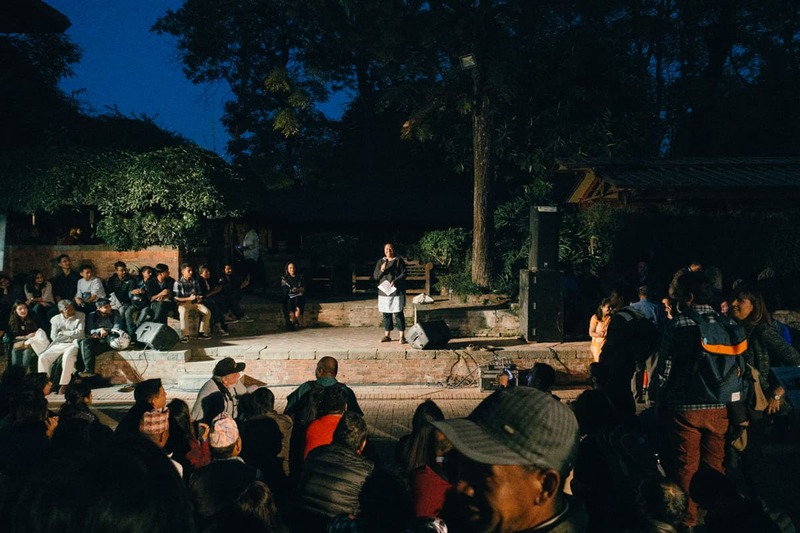 Opening ceremony of the second edition of Photo Kathmandu in 2016. What are your thoughts on and experiences with photography in Asia? The first photo festival I attended was in 2009 in Dhaka. Chobi Mela has since become a pilgrimage I make every two years. It has been so radical to meet all these people from around the world, especially from the west – in Dhaka! All interactions take place on this totally new playing field, and challenge stereotypes. The politics of representation and inclusion plays out in really poetic ways. Dhaka for me is definitely the capital of photography in Asia. And soon I think it should be declared the capital of photography in the world! Of course I think there are many, many super talented and committed photographers as well as individuals and institutions working with photography across Asia. I think we need to create more opportunities to interact, share and learn from each other within Asia and the global south, and not only look to the west. What in your perspective are the qualities of a good body of work? I think the question why is most prominent when I see a body of work. Why is the photographer invested in telling this story? Why should the “subjects” being photographed participate in this process? Why should I as a viewer care? Why should a magazine carry this particular body of work? When I begin to discover answers to these questions, I think my attachment to the work grows and I have a reason to believe that it is ‘good’ or important work. 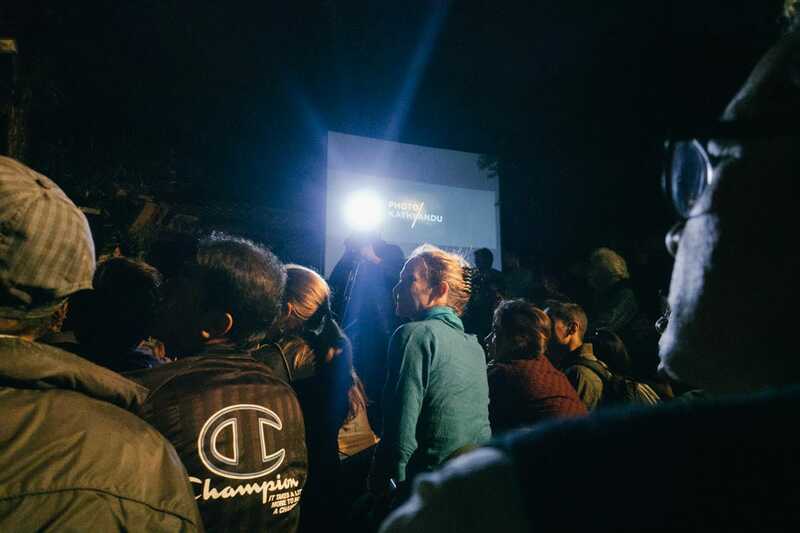 Closing ceremony of the second edition of Photo Kathmandu in 2016. Has there been recent work in Asia that caught your attention? I have been keeping an eye out for women in particular of late. Here in Nepal, Bunu Dhungana and Uma Bista are two young women photographers who are really beginning to come into their own, with very strong ‘voices’ in the last few years. I have also been fortunate to be recently acquainted with young talented photographers like Ema Anis and Nida Mehboob (Pakistan), and Anshika Varma, Asmita Parelkar and Tanvi Mishra (India) amongst many others. They not only create nuanced and diverse bodies of work as photographers, but are now also wearing other hats as curators, editors, and publishers. It is exciting to see their work evolve through the images, books, magazines, exhibitions, and other encounters. What advice do you have for photographers and artists? Ask yourself why you’re doing what you’re doing. Keep your head down and work hard. Keep at it. Keep at it for as long as you have a good reason. If you realize at any point that your reason is failing, try to convince yourself, find a new reason, new inspiration. But also remind yourself that it’s really okay in life to evolve and grow into becoming a teacher, or a mother, or a politician, or a part time florist, or just part time-something-else amazing. Call for submissions open in March and will be free to enter. More details on http://invisiblephotographer.asia/awards.